Many of us remember the old Oprah pledge she made celebrities take years ago when her daily talk show was still on the air and she launched a crusade against texting while driving. She took a stand against an activity that many of us indulge in, despite the consequences. Several states have outlawed the practice and others have taken the additional step and banned the use of cell phones and handheld devices completely while operating a vehicle. Texting is illegal in 44 states currently. Using your cell phone or other handheld devices is still allowed in the majority of U.S. States, but this doesn’t mean you should do so. How bad is it really to use cellphones while driving? Besides the sensational headlines ranging from multiple deaths caused by bus drivers, subway and train engineers or teens out for a joyride, data shows that texting does impose an increased risk in deadly accidents. 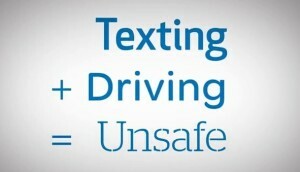 According to the National Safety Council, texting causes 1.6 million accidents per year. The numbers don’t include accidents caused by calls, web surfing and other activities associated with cell phones and its counterparts. The obvious solution for preventing these accidents is to NOT use cell phones, period, while driving, and to preach the same gospel to others. However, despite warnings, this is very hard for most people to do. Whether it is an addiction or just overconfidence in believing you won’t be distracted when replying to a phone call or text, most people think they can multitask while driving a car. Unfortunately, that false sense of confidence often leads to problems. So, what are realistic solutions? Turning off your cell phone entirely while driving is the only surefire way to prevent an accident. However, most people don’t obey this rule. If you have passengers with you, make them answer your phone calls and texts for you. This ensures your eyes and attention remain on the road. Turning off the cell may seem impossible, so if you must let it ding and ring, be wise. Pull off the side of the road in a legal and safe location before answering calls or responding to texts, especially if you are in a state where it is already prohibited. It is important to stay connected. Yet, it should not put you in danger. Learning to balance technology and driving privileges should go hand-in-hand. Safe driving practices means you use common sense and don’t get distracted from outside activities. How do YOU ensure you drive safe? Previous: Homeowners Insurance to the Rescue and It’s Not What You Think . . .